An expert in perianesthesia and postoperative care, Dr. Ampai Aimsiri has more than four decades of professional experience in health care. As the staff nurse at Permanente Fontana Medical Center, Dr. Aimsiri assists patients in pain management, promotes public health nutrition programs and conducts lectures. With such vast success in her industry, Dr. Aimsiri feels that her dedication, determination and continual quest for knowledge separate her from her peers. Throughout her career, Dr. Aimsiri served in a variety of positions. She was the night nurse charge for the perianesthesia care unit, shift coordinator, team leader and clinical nurse of the multiple trauma intensive care unit at the Loma Linda University Medical Center. Additionally, Dr. Aimsiri has been a guest lecturer and teacher in China, Singapore, Bangkok, Malaysia, Philippines, Indonesia and Thailand. 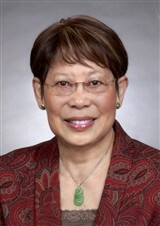 She has served as Director of Nursing at Youngberg Adventist Hospital in Singapore, chairwoman of the basic science department and nursing educator at Bangkok Adventist Hospital School of Nursing, associate dean of women at Bangkok Adventist Hospital School of Nursing, and charge nurse of the Medical-Surgical and Intensive Care Units at Bangkok Adventist Hospital. She takes great pride in her work and in helping nurses in other countries develop skills and knowledge in pain management and critical care nursing. 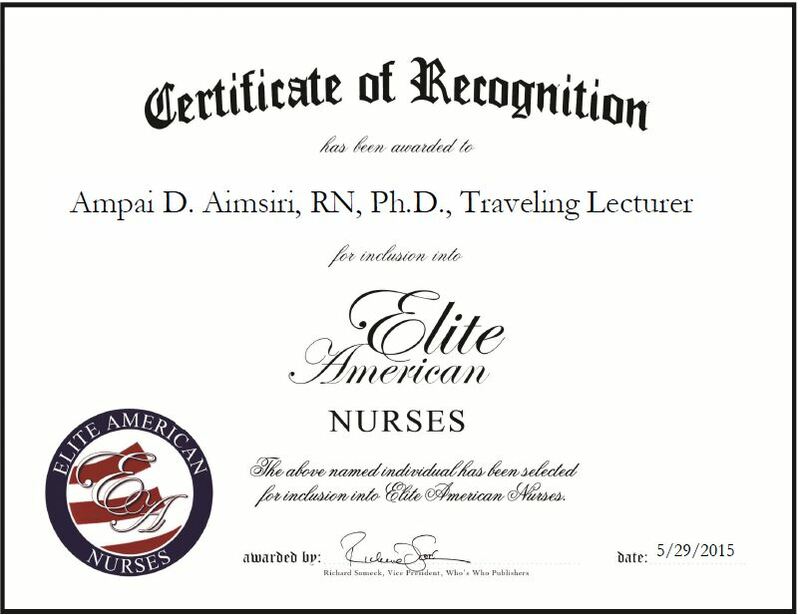 Dr. Aimsiri is a registered dietitian and certified critical care registered nurse with the state of California, and a registered midwife with Bangkok, Thailand. This entry was posted in Registered Nurse and tagged critical care, midwife, nutrition, perianesthesia and postoperative care, staff nurse. Bookmark the permalink.